The 24th Annual Snake Gully Sale was held on the 12th June on farm at Maungakaramea. It has been a challenging 12 months for David and Natalie in the lead up to their first sale after taking ownership of Snake Gully Stud in 2017. It was pleasing to see traditional buyers as well as some new taking advantage of the sale offering and showing continued support for the wide range of new genetics used by Snake Gully. Top price of $8000.00 went to lot 3 Snake Gully Mack a Full French son of Mereside Jester, by dam Snake Gully Heartbeat, a Bolide daughter. Mack’s eye muscle area scanned 136 sq cm which was the highest in NZ for 2018. Mack was purchased by commercial breeders Phil and Pauline Gaudin of Aria who have been purchasing Snake Gully bulls for over 20 years. Second highest of $5000.00 was lot 15 Snake Gully Mahogany a polled son of Snake Gully Expensive, by dam Snake Gully Kendra, a Wulfs Excellsior daughter. 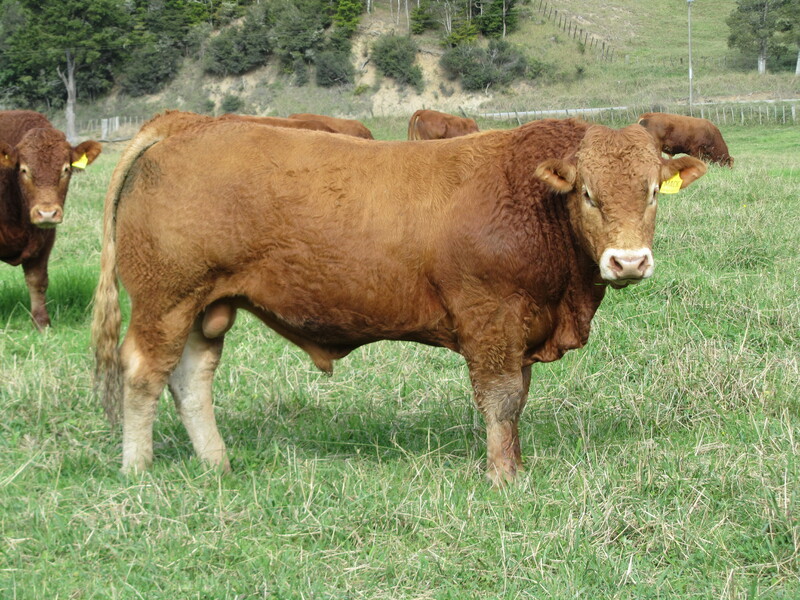 Mahogany was purchased by Ken Rintoul of Okaihau, where he will be used over heifers. Average price for the sale was $4110.00 with 15/18 sold. Due to the reduction in females in 2017 only 3 females were presented for sale. All three sold with top price of $2900.00 for Snake Gully Graceful, a daughter of Posthaven Polled Urban Cowboy vetted incalf to Meriden Poll Heavy Duty sold to Steven Dance of Springfalls Stud in Tuakau.